Daewoo Motor Co., Ltd. was founded when the Daewoo Group purchased Saehan Motor in 1978, but the Daewoo Motor name appeared only in 1983. 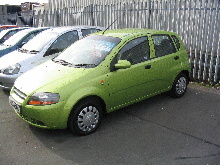 Daewoo Motor arrived in the UK in 1995. At the time, it was the only manufacturer not using traditional dealerships; it owned and operated its own retail network. 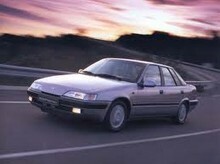 It was once considered to be near the top 10 motor companies in terms of production. 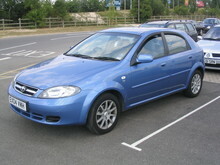 Daewoo was forced to sell off its automotive arm, Daewoo Motor, to General Motors in 2001. 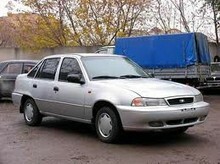 Since then, GM has been moving to rebadge Daewoo cars as models for many brands, including Chevrolet, Buick, Pontiac, and Holden. The GM Daewoo nameplate was kept only for South Korea and Vietnam until 2011. Daewoo Commercial Vehicles Division was sold to Tata Motors of India.